Celebrate 100 Free Things to Do at the 2017 Royal Adelaide Show and WIN 1 of 5 Family Passes! Everyone loves the show but without a watchful eye on your purse, it can be a very pricey day. That’s why we’ve done the research to find you our list of 100 Free things you can do at the 2017 Royal Adelaide Show! Be sure to share with your friends and family and make your dollars stretch a whole lot further this year! Admire the strength of South Australia’s strongmen as they pull heavy machinery down the Kingsway! See five-time world record holder, Ian Jamieson attempt the ‘motorcycle tunnel of fire’ on the Main Arena! Visit the MAC Box in Jubilee Pavilion, for an interactive road safety experience like never before! Sing and dance along with Emma and Lachy from the Wiggles on the Goyder Stage Monday, Tuesday and Wednesday ONLY! See the Emirates Melbourne Cup on Tour on Friday 8 September! See your favourite Home and Away stars on the Golden North Stage at 12.30pm, Saturday 2 September! See retired racehorses and their owners glammed up for the ‘Fashions Off the Track’ competition! Join Peppa Pig and her whole family as they play games, dress up and enjoy a day out on the Goyder Stage Monday, Tuesday and Wednesday ONLY! Learn more about the dairy industry and cheers on the competitors of the Cows Create Careers Challenge! Take your loved one to the ‘Love Seat’ in the orchid display at the #AdelShow! Join The Funny Farmers as they try to get their farm in order with the help of their lovable friend Jolly Joy – the big dancing cow! Holden or Ford? Cheer on your favourite during the V8 Ute Challenge with female drivers Kelly Wong & Lisa Walker! Sauna anyone? Visit iHealth Saunas for a free minute sauna! Visit the Golden North Stage at 1.30pm daily to get involved with the Golden North ice-cream eating competition! Get Ready for Action with Ryder, Chase and Marshall from PAW Patrol on the Goyder Stage Monday, Tuesday and Wednesday ONLY! Meet the Bananas in Pyjamas to celebrate their 25th Anniversary on Saturday 9 September from 10am on the ABC stage. Hear the thunder of hoofs as Harness Racing makes it return to the Main Arena! Snap a selfie with #AdelShow mascot, Wheaty McWheatface! Learn what makes a great pastry when 2014 MKR Winner Bree May judges the Professional Baking competition! Snap a selfie with the robot from outer-space at Alien Abduction! Be part of the monkey business with family favourites, the Amazing Drumming Monkeys! Follow the BankSA #AGSPLORERS Track and complete the ag-tivities to receive your reward! Meet the real people and the cows behind the milk, cheese and yoghurt in your fridge on a Legendairy Farmer Tour! Embrace the energy of The Zimbabwe Brothers as they perform their awesome acrobatic feats! Get your groove on with the Dances with Dogs competition presented by Bucket O’ Beef! Visit Moonglow in Market Bazaar to discover your aweinspiring personal moon! Meet the mascots of the Show in the Street Parade at 12.30pm daily! Hold baby animals and learn more about agriculture in the Learning Centre. Wonder at the RAA fireworks every night on the Main Arena! Sample South Australia’s finest delicacies in the Taste SA Pavilion. Vote for your favourite artwork in the Royal Adelaide Art Prize and be in the running to win a Wallis Cinemas Double Gold Pass! Hop along to see the Rabbit Show Jumping competition in the Pet Centre on Wednesday 6 September! 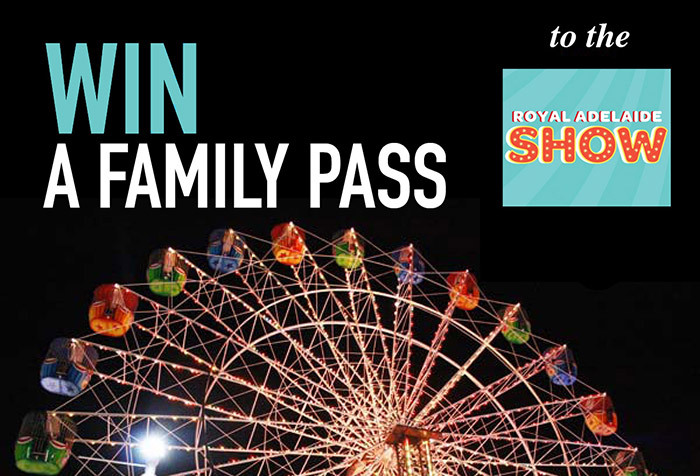 Thanks to our friends at the Royal Adelaide Show, we’ve got 5 Family Passes up for grabs! Simply tell us in the comments below what you love about the show and make sure you’ve completed our entry form to win! 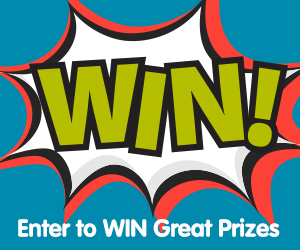 NOTE: Only current email subscribers to our weekly newsletter will be eligible to win so make sure you complete that step! I love the fireworks and the wood chopping. . The smell of donuts, the scent of manure, the screams children the show I love for sure. The animals and the baking, the cooking and the food. Please take me to the show for now Iam in the mood! I love the joy on my kids faces when they first enter the Showgrounds and see all these new and exciting things around them! I love seeing the fabulous floral displays and the farmyard animals that are friendly enough to be patted by people of all ages. All the animals even the chickens & turkeys!! Love the show because I get to spend quality time with my family, enjoy some delicious food, go on some thrilling rides and go crazy in the show bag hall. I love seeing the joy on my kid’s faces as they see the all the sights and hear all the sounds of the show..
Family friendly, lots to do and see for all ages. The atmosphere is electric. Best of all is that there is something for everyone. Serious, fun, new, old, interesting, quirky, curious…the Royal Show has it all covered and you can spend a whole day there and go home exhausted! The animals!!!! – mostly the farm animals that have come to the show with county kids – what a fun experience for them! I love spending time wrapped up in blankets to keep warm with my family watching the evening entertainment and the excitement of waiting for the fireworks. I love seeing all the animals. I love the food and wine halls..and the free tastings. Love the yellow brick rd with the family! I love taking my kids and spending quality family time but more than anything is seeing the smile light up on my 3 and half yr olds face as he has mild Autism so seeing the bright lights and all the things to see and do will make him smile. He is not bothered about what things cost as long as he can see and touch he will be excited by all the free things to see and do there. Can’t wait to take them. I love the Royal Show because there’s something for everyone. The family is entertained all day with the rides, showbags, exhibitions, free shows and great food! I love the ferris wheel and the cake displays. My son an I look forward to both every year. There is so much to love at the show but I love visiting the Pet Centre and the pavilions. The sideshows are always a hit too. I just love the show atmosphere! Aside from the food….? I love seeing it through the kid’s eyes. There’s always something new for the kids to discover and their excitement is so infectious! Being able to spend family time with the kids and showing them things they wouldnt normally see. Making memories at the Royal Adelaide Show! I love spending happy quality time with my Family at the Royal Adelaide Show every Year. The rides are the BEST! The best thing is the joy on my daughters face as she takes everything all in. I love all the family friendly sections! So much fun with the kiddies! I love watching my kids eyes light up at all the magical things the show has to offer as we are from far north of SA and never get to see showrides,horses,cows so on. Love going with my grandkids & spending the day checking out all the signts, then topping it off with the wonderful fireworks display. I love the Team D-Max precision driving team. Always been my favourite since u was a little kid, love watching the precision driving. I love watching my kids faces as it goes from light to dark and everything is lit up, every year it’s like they are seeing it for the first time. The FREE stuff!! Especially taking my little man to look at the animals and the little kiddie farm where’s there’s more interaction. He loves the tractors and all things farming in the big halls plus love all the free samples of food and drinks!! Love to see my daughters face light up when she walks through the gates and sees all the lights and sounds. We love the animals and the fire works. I still love going through the showbag section of the newspaper and then purchasing at the show . My son doesn’t get why I do it . I love the games and trying to win my son teddies, which we end up buying when I lose. I also love that every year my son is adamant he is going in the Haunted House, but then can’t bring himself to do it. For weeks before the show he talks about it. I’ll have to buy him something special the year he does it! I love so much but to name one would be the fire works! The show always makes me feel happy, It is one of the only things that makes me feel carefree and child like again! I would just love to take kids to the show. We took our oldest one when she was 3 (now 12) and she enjoyed the few rides and the baby farm animals. We didn’t have a funds to take our middle one (8) and the youngest one (6) yet. But I am expect they would be just happy to be there and soak the excitement and fun. Love the fireworks!! We don’t get out much as a family so this would be a real treat for us and a fantastic time for amazing memories. The atmosphere and the excited faces of my children. Smiles and eyes wide open!! I love the atmosphere and the whole buildup to the event for my children. My oldest son has been asking when the show is on since the beginning of the year! It’s a fun family day out making memories. As a pensioner the last time I went to the show was probably 10 years ago I can’t afford to go now, but when I do it’s like all my Christmases in one!! Our boys absolutely love visiting all the animals and of course staying up late to watch the fireworks!! I love all that is the show from the classic yellow brick road to the carnies to the animals talented craftsman rides and of course the fireworks – red red lol looking forward to passing on my love to my almost 3 year old!! I love watching my childrens faces. They get so excited. The best part for me. 2 beautiful, precious daughters faces. Hands down, that is the best part of the show for me. The sights, sounds and smells, takes me back to when I was a child. And seeing my kids smiling/laughing, happy faces. My girls and I love the fireworks, but can’t say no to the animals! I love Bertie Beetles and suffer from withdrawls most of the year waiting for the Show to come around again! I also love seeing the smiles and wonder on my girls faces and watching their senses go into overload! Love the excitement on the kids face and the family time spent together. Love the atmosphere!! We grew up listening to my Mum’s stories of the Royal Show, and when I moved to Adelaide I had to discover it for myself! I love finding new things to discover with my kids. The whole show experience! There’s nothing like going to the show as an adult with your own children and seeing them get as excited as you did as a kid. The rides, the showbags, the food, the sights, everything is all part of one enjoyable experience. I love the family friendly atmosphere. I love all the animals. So many fun free activities, you just have to read the Show guide and plan your day. Can’t wait to take my little man (2 years old) he’s obsessed with animals. It would be perfect As my partners kids have been keen for the show since they left last yr as they didnt get much time in there so i would love to take them and their dad . Great and entertaining information all the time, show would be great too! So much to see and do, a really great day out. Entertainment for all the family. Spending time with the family looking at all the exhibitors, love seeing the competitions and the kids always love the rides. A great day for all! I love watching the look of joy on my daughtes face as she rides the ferris wheel just like i did when i was her age. We love walking through the pavillions taste testing, looking at the arts, crafts and baked goods. It was all about the crazy rides when I was a little (lot) younger but now I just love seeing all the flowers and the woodwork and wood chopping and going to see who has won all the decorative cake prizes! Oh, and toffee apples. I loooove toffee apples. I love the show bags and all the big teddies you can win. The woodchopping is cool too, and the kids really love the haunted house. honestly just love the smiles on my kids faces as they have fun on rides and exploring. I love the exciting atmosphere of the whole event. There’s something about the smell of cinnamon, hot chips and dagwood dogs, the “whhiiiirrr” of the rides and sounds of the side shows, fairy floss, giant teddies, and lollipops that just has to make you smile. I love that there is something for everyone in the family to enjoy. The kids love all the animals, rides, show bags and fireworks and the parents love all the food and wine tasting. It’s all around a great family day out. The animals and how excited the kids get. I love the smiles on my little girls face! The showbags, woodchopping and the pig racing! The variety of things to do! It’s always fun to try new and exciting things with the family! We love the wood chopping, all the animal pavilions, the car and motorbike shows and of course the fireworks! I love to watch the wood chopping & the going on the ferries wheel with my grand kids. All the exhibits and seeing what people have made and all the effort. I love the atmosphere. Everyone is happy, joyful with smiles on their faces and having a wonderful time. The show really creates a lovely space for excitement! Love the rides and fireworks! And seeing all the animals! love the wood chopping and petting zoo. Gives the family an outing to visit another state and enjoy a sample of the best it has to offer. We love the pig race and the fireworks! I love the atmosphere, the sights and the smells. I love the sounds, the screams, squeals of delight and ride/games noises. It will always be a happy and familiar sound. Also the chocolate lolly bags!!! My kids love animals and would love the oppertunerty to visit the Adelaide show to see them. I love wadtching my daughter enjoying the sideshows, and visiting the show dogs and farm animals. All of it! Spending the day out with the family, seeing our young girls faces light up a little more each year with excitement when we walk through the gates. The wide variety of delicious food the we wouldn’t treat ourselves to normally, the atmosphere, the joy all around, the dog hall, the shows. Just love it all! Can’t wait until they are both a bit older for a full day out and can stay for the fireworks without the over tired meltdowns at the end of the day! I love the pigs. Ever since I was a little girl I have loved walking through the big animal filled buildings. Occasionally someone puts a big spider that drops down at the end to scare everyone. Our family loves going to visit all of the farm animals and learning about different breeds of dogs and cats. I love the family, fun atmosphere and creating memories with our children. We love following the Yellow Brick Road trail and collecting all the goodies. Our favourite entertainment to watch is the wood chopping and pig racing! Always a laugh! Love the family spending time together. And the fireworks. I just love watching our children look around in wonder at all of the sites. And spending time with the kids deciding on which showbags to get. I remember doing that as a kid too! I show rabbits and the Royal is one of our biggest shows for the year. So excited to take my family along. So many wonderful things to see and do. We love the yellow brick road. With 4 small children, it’s a great way to explore everything and they still enjoy it. It keeps them interested and gives us an opportunity to have a little adventure as a family. Interacting with the animals, exploring the beautiful garden displays and they LOVE taste testing a few delicious treats along the way. I love the atmosphere. I remember being so excited as a kid. I can’t wait for my kids to experience the same feeling. My 4 kids love the excitement of the show and love seeing their happy faces as we go around looking at everything! The atmosphere the show brings, aswell as the rides and fireworks that my daughters love. I love the atmosphere, there’s happy people everywhere enjoying family time together while being active outdoors! My favourite part of the show is all the memories and potential it holds. My parents used to occassionally take myself and my 7 siblings to the show as a learning experience, as we were all homeschooled. We’d learn about the animals, watch the woodchopping, look at the machinery… we’d each have to budget our own money for swhowbags and rides, and plan out what we wanted to do, which taught us organisation skills. I’d love to go again as it’s been years since I’ve been! I’ve always loved the show – since I was tiny myself. The cake decorating, the music, the pizza in a cone, the bonsai trees, the RAINBOW and the ZIPPER rides (long gone now), the yellow brick road. When I was little I used to love getting the fairy floss that had a little doll stuck on top! Now… this will be the second year I get to take my son… he is one, and I know he’s going to love the show just as much as me! The food, the rides…. and the food!! I love having a fun-filled day with my family watching the woodchopping, pig racing, dog agility trials and going on rides. The food, showbags, farm animals, it’s all on SHOW and I love it! I love taking my young kids to see all the animals. They get so excited. I love the yellow brick road. Takes you all over the show and plenty of goodies to nibble on throughout the day. The wood chopping, the pig racing and the baby animals. My son is 1 , and he’ll love to see the animals, especially the petting zoo. I love watching the look of amazement awe on my daughters face as we all watch the fireworks together. I absolutely love the rides and this year I’ll be taking my 5 year old boy. I can’t wait to show him all the rides too! I love the food sampling – cheese, honey, dukkahs, sauces. I love going on the rides with the kids and the fireworks! I love seeing the exciting on the kids faces as they enter the show and how happy they are when they get to hold all the cute and cuddly baby animals. I love taking the kids to see all of the animals! Especially the baby animals, the pigs & the cows. We also LOVE watching the jumping pigs! The RAA fireworks; Taste SA Pavilion; Woodchopping and ending the day with the Ferris wheel. We have always wanted to go to the Adelaide Show but have never had the opportunity. It would be fantastic to experience what Adelaide has to offer and enjoy the atmosphere. I Love everything about the show but the best thing is the looks on my kids faces when they hold the baby chickens. There are so many things we love to do. Show bags, show rides, animals to look at, displays, acts to watch and the food! I love spending fAMily time with kuds and seeing their big smiles when selecting showbags. And learning about the animals on show. I would really like to take my girls again. They have only ever been to the show once. They loved the show bags, rides, animals and fireworks. I really like seeing the cakes, stalls and monster trucks. We follow the yellow brick road all the samoles save us money and we see alot. Love the atmosphere and the fact that there is something for everyone! My favourite is seeing the show animals and the prize cakes! Everything and chages every year. There’s something for everyone ! Sights, smells , sounds. ! Smells, the good ones will always take u back to been little. And a must to check out the decorated cakes omg ppl have some talent. As a family we love the farm animals, particularly the sheep as friends of ours have a farm at Beetaloo Valley.. The children also lave the childrens area. The car performances. There are some ladies driving this year too, usually it is men only. The delicious food from various outlets, imcluding the Country Show Society. The crafts and floral art displays. Rides for the children and the fireworks after dark. I love the feeling of being a kid again! I love the woodcutting. When my parents would take me they would make us watch it. Boring. Now that I’m a parent, I get it 100%, to sit down lol. My kids will be watching the woodcutting and ill enjoy the sitting down off my feet!!! The look on my kids faces when they take everything in. I love going to the show with my family to experience the excitement and swing my son really enjoy himself. I love the Buzz, The family time spending Money on showbags no one needs but everyone should have and i love the squeels and laughter all around me. I love seeing the kids enjoying th rides, playing with the animals and having a great day out! The animals and the fireworks! I love the whole day. There is something for the whole family! The thing I love about the Royal Adelaide Show is the atmosphere. There are so many things to see and discover. Its a perfect family outing where everlasting memories are made. I love the lights at night and the pig races. I love the halls with all the cake decorating. Absolutely everything! I’ve loved the Show since I was a child, it is my favourite time of year ❤ The animals, the showbags, the food, the displays, the entertainment, but mostly just the atmosphere, it is incredible and there is nothing like it. I still have the same sense of excitement as I did 25 years ago when I attended my first Show at 5 years old. The woodchopping has been my fav forever!! We have never been to Adelaide winning tickets to this amazing show might just get us there.. I love the food, show food is the best and most of it comes on a stick!!!! I love the show because I love seeing how excited my son gets to see all the exhibits, the animals, the music etc. it’s an amazing family day out and I can’t wait to include our daughter in the fun. I love all the home made & hand made items people enter (I’ve entered in the cookery section for the 1st time this year! )… Can’t forget all the animals too! We love everything about the show, from wondering through the pavilions to watching the events around the arena. Watching my young children have a ball on the side show & having a great time! We love looking around at all the animals and stalls. Playing the side show games are also a highlight and the shos bags. We start our day enjoying waffles whilst watching the wood chopping! Before just wondering around enjoying the side shows, shows and rides. We have lunch and catch a ride on the train and wonder the pavilion. Before leaving we buy our show bags and make our way back to the car, where once we get home the kids decorate my lounge with their show bag goodies. Bumping into friends, seeing all the animals and friendly dogs, walking and looking at everything with building excitement for the fireworks. I actually just love seeing my boys faces light up in amazement at all lights and action going on around them (3 & 5yrs old). The boys love all things animals and of course the rides I think. The smell! As soon as I walk through the gate I can smell hay, animals and hot donuts! The Royal Adelaide Show really is great for young and old and definitely the perfect opportunity for the Grandparents to spoil the Grandkids. Seeing the animal and dog competitions makes me feel they have more talent than me. Love the free shows for the kids- my 2 year old would love seeing Peppa, Emma and Lachy and Paw Patrol! I love the memory of my son’s huge grin when we took him to the show for the first time last year. We’re looking forward to even more happy times this year! I love the atmosphere at the show. I love seeing all the animals. I would love to bring along my toddler for the first time. I love seeing the cakes, the photography, the wood chopping, the animals….actually I love everything about the show! I love that The Show ignites my 3 year olds passion for learning and gives me hope that the best things in life can’t be learnt from an ipad. Having never taken my kids before I used to love the excitement and build up of going to the Show. Saving pocket money and going through the paper to decide which show bags to purchase! I love the rides and the show bag hall! It’s even better now seeing my kids faces light up when they see all the bright lights and amazing things!! I just love the excitement and quality time with the kids and hubby. I love the joy and laughter it gives my girls! They love the rides and sideshows and picking out a show bag is so exciting for them! I love the cats. And I also love (not) keeping Master 6 away from copious amounts of sugar! Love the kids faces of just the simple things … the animals, fireworks, free shows on the stages. Fire Works, the perfect end to an amazing day! I love how the Royal Adelaide Show brings out my inner child to soak up the atmosphere and explore. We love the motorsports show. I kove the whole carnival atmosphere. Where do i start… we love everything about the show… its a great family day out from having fun on rides to looking at animals.. wd love the yellow brick road.. and cant forget showbags!!! I love taking my kids to the show and watching the awe and excitement they feel enjoying the rides, animals, following the yellow brick road etc. I love what was the yellow brick road. We always did as a family no matter right up until I moved away as an adult. Back in Adelaide it is the first time I will do it with my family and kids. I’m very exciting to finally be sharing the show with them. I just love watching my kids faces light up when they are looking at all the sights, listening to the sounds and experiencing the wonders the show offers. It takes me back to when I was a kid. I am particularly excited this year as all 3 of my boys entered conpetitions to share their photography. They are so very excited and would love to see their exhibits! I love wondering around the pavilions looking at the art’s, crafts and amazing baking while sipping on a fresh squeezed orange juice. After that a dose of hot cashews and some strawberries in chocolate sauce while walking to the dogs and dairy sections. Here I get ready to indulge in a game or two in the ally and then off to the ghost train. After it’s icecream and watching the pig races. Awesome day topped off with a charlesworth show bag and a dose of sore but satisfied feet. I like walking through all the exhibitions and looking at new products and ideas on the things I like to do. I love everything about the Royal Adelaide Show! I desperately want to go and spend the day with my camera, joined by a few photography friends. There is so much to shoot there! I love the horses in action program. I love the Animal pavilion, especially the reptiles. I love everything in Royal Adelaide Show. I love EVERYTHING! I’m just a big kid at heart so sharing it with my children, 20, 8 & 6, is what it’s about! The sights, the sounds the scents.. I’m like a kid again every time the show rolls into town.. I love laughing at my partner freaking out and the roaming clowns and mimes, it’s hilarious. We love visiting all of the different animals and watching the wood chopping competition. We love the Zimbabwe brothers! I love the baby animals and my kids will love the FMX bikes tgis year too. Cant go past a quick game on the clowns either. What i love most about the show is how it brings my children to life. They aren’t stuck face first in a laptop or phone. The look on their faces when they go on a new ride, win a toy from the clowns, receive a showbag. Even that look of awe when they watch pig races and woodchopping. Its the only time of the year i get to see my kids genuinely love being kids in this hectic age of technology. I like the yellow brick road, our children love the farm animals and all the stage acts. I love sharing family time in such a plave of joy. One of our favorite attractions is the kids animals. However it looks like a few kids shows on this year that the kids will love too. 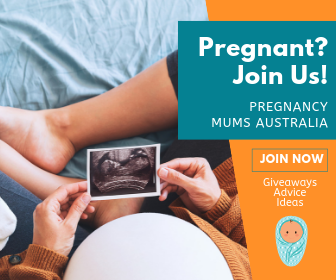 Too much to choose from as it’s just awesome family time especially with new addition who will love all the excitement happening around him and my four year loves the Ferris Wheel, cuddling baby animals and Showbags of course! Seeing how much fun the children have, and being around all of the farm animals. Then at the end of the day running around, sitting on the grass while the children run around and play, and eat, and then watching the fireworks together. It is a magical part of the show. We have only just moved here, so have never experienced the Adelaide Show before! Our girls would absolutely love to go! I love the yellow brick road and I am sure my grandchildren will enjoy following the Yellow brick road with me. To save money at the show, you buy a family ticket, it’s so much cheaper than buying individual tickets, plus you have a family outing together. The joy it brings the kids! I just love the atmosphere of everyone out enjoying the rides and shows and having a good time. I love watching the wood chopping. They move so fast. I also like the crafts, they’re so lovely. I’m amazed at the skills people have. The cooking areas make me hungry. And I love the ice cream hall. i get excited about the show but I never liked going with babies. I love the Yellow Brick Road. It makes you see the best of everything at the show. I like checking out exhibitor stands to see new gadgets available. The Show is a great place for fun family to, no matter how old the kids are. My kids would absolutely love to see Paw Patrol! I would love a chip on the stick… or 2! Love all of it! Watching my son have a ball as I did as a kid! We love the wood chopping, pig races & pig diving! The yellow brick road is definitely a favourite so are the fire works. Just being able to go at all is the very best bit. The free attractions you can do with the kiddies. I love the yellow brick road and fairy floss!!! I also love walking through the cows and patting their giant bums. What I love most about the Royal Show is the horses and the show jumping, the dog, and the dog shows and trials the fireworks and the atmosphere! I love everything about the show…from the cooking exhibits to the woodchopping. It is a great atmosphere! We love to ride the Ferris wheel and watch the fireworks from up high. Really feels like you are up among the bright lights. We manage to time it everytime. Fantastic day out. I would to say fireworks and the wood chopping. But this time if I could win, I would like to take my lil girls for the first time to see the animals and get them a show bag each. They would really love this. I love the racing pigs. I love the atmosphere, the horses and dogs and the food! I cant wait to take my little one for the first time either! I love seeing the animals. I also just generally love the atmosphere. The show is a fun family fay out with so much to do but my favourite is the animals. I love taking the kids to see the farm animals and watching them play the side shows. I love the atmosphere, the second you walk through the gate it is a wonderous place full of fun and activity. I stay for the day and go home when the sun goes down. Hate leaving, but look forward to next year when I can do it all over again. There’s something about the show that no matter what age you are, for that day when you go to the show you’re a kid again! We love the commitment the community shows to bring such a memory making event alive. The looks on children’s faces is the best! The perfect party for my birthday thats turned into a family tradition every year. Now my kids enjoy my birthday just as much if not more then i do!! Because I cant get enough of the smile on my 20Yr old disabled sons face all day. The animals are, and always have been, a massive highlight! Unfortunately, my family and I live down in the country (3 hours away from Adelaide), so we haven’t had the opportunity to go to the Adelaide Show in about 10 years. The last time I went, I was only a small child and so I can’t really remember much haha, but we would really love the opportunity to be able to go again! :) Thank you.